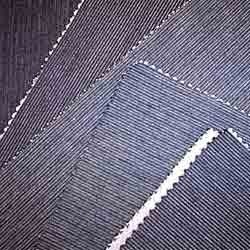 Leading Exporter of textile enzymes, finishing auxiliaries, leather auxiliaries and tanning auxiliaries from Mumbai. Backed by rich industry experience and knowledge, we are engaged in importing, exporting and supplying an assortment of Textile Enzymes. These products are processed by our experienced team of professionals using superior quality raw material that are procured from reliable vendor base. These enzymes are extensively used in the chemical processing of fibers and textiles, which is rapidly gaining wider recognition in the market. Our esteemed clients can avail from us a superior quality range of Finishing Auxiliaries. These products are formulated using high quality ingredients procured from some of the most trusted vendors of the industry. Moreover, these products are checked on certain well-defined quality parameters to ensure their flawlessness. Renowned for its accurate composition and excellent quality, these are available in varied packaging sizes to suit the diverse needs of our clients. We are instrumental in offering a supreme quality range of Auxiliaries. These products are accurately formulated by a team of highly skilled professionals in compliance with the international quality standards. In addition to this, the entire range is checked on certain quality parameters, before its dispatch to the clients end. This range acts as highly effective surface agent which makes it most accoladed amongst our esteemed clients. Adolix A - Amphoteric dispersing and wetting agent. Adcowet JS – Highly effective surface active agent and detergent. 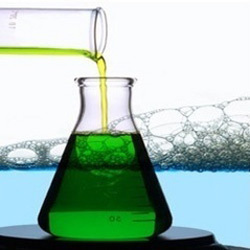 Adcowet ADE – Degreasing agent and emulsifier. Adcowet 65 – Non ionic surface active agent. 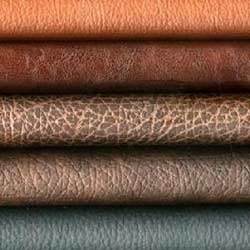 Owing to our expertise in this domain, we are engaged in manufacturing, exporting, importing and supplying superior quality Tanning Auxiliaries. 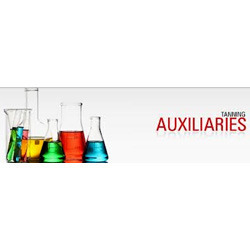 The offered auxiliaries are precisely processed utilizing supreme quality chemical compounds and modern technology. Furthermore, these auxiliaries are precisely tested on different quality measures at our ultra-modern lab. We offer these auxiliaries in different packaging options at market leading prices. Looking for Textiles Auxiliaries ?